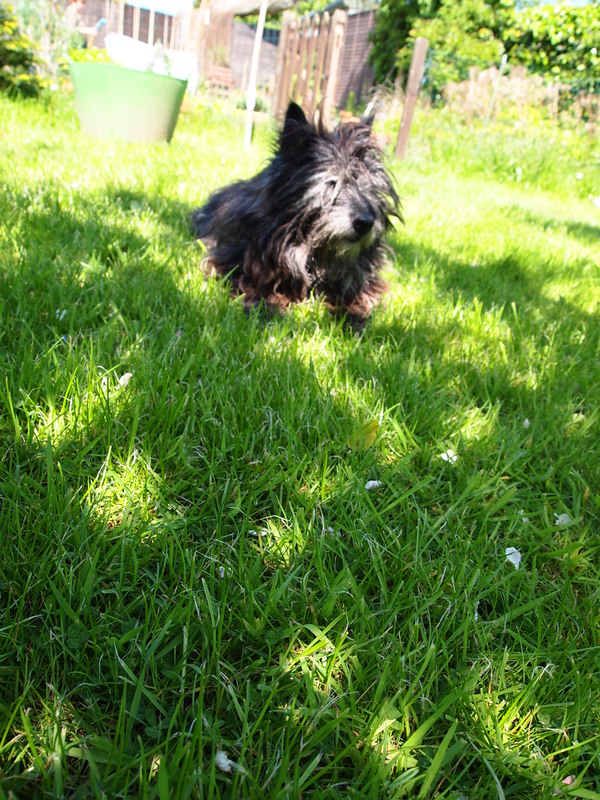 My dog Cian, of nearly seventeen years, died today. I’ve lived with Cian nearly my entire life. My memories before him are fragmented because I was too young. I don’t really know what to do. I said goodbye this morning but I couldn’t go to the vets, it was too much. Cian is a very old dog; he lived a long life and was only really sick for these last three months. We’ve known this was coming since the New Year and maybe that lessens the shock a little but I can barely think. We still haven’t told my brothers, they live overseas. I don’t even really know why I’m writing this except that I’m a writer and this is how I cope. When I love someone and then their gone all I’m left with is words and the photographs. Some of you will have seen Cian in some of my videos, some of you who know me in real life will have met him. He’s been so sick the last few months that I know this is for the best. He hasn’t been able to eat or walk around properly. I’m not sure I’ll even post this but if I do, just know that I lost a friend today, my oldest friend and I’m still not sure how I even feel other than tired. I’m just glad he’s not suffering any more, it was awful to watch and I’ll miss him so much. Cian, was a good dog. Oh, I feel for you! I remember when my dog died so many, many years ago…the memory of the feelng is just as fresh and sad today, so many, many years later….I still dream about my dog and comfort myself hat it may mean her spirit is still near me. Be gentle with yourself..it is very hard to lose such a wonderful companion.